Throughout my whole career I've always been prepared for the next thing. My 79/21 theory came from a conversation on how to prepare for the future and strategic ways to allocate your energy. In my opinion, there's more than enough hours in the day to taste everything. Really pay attention to the questions asked and my answers in this podcast episode. :30 - Intro to the 79/21 rule 2:45 - What if something pops tomorrow? 4:50 - Instagram vs LinkedIn Did you like this episode? 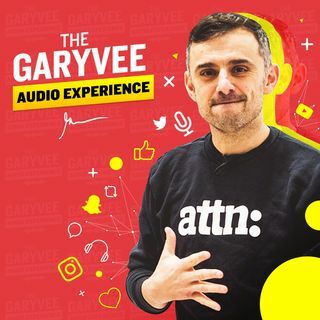 Any ... See More feedback is appreciated - tweet @GaryVee to let me know.